We are currently experiencing some Technical Issues with our Intermet and Telephone Lines, our Technical Personnel are working with our Telecoms Provider to resolve these issue. Telephones should be restored in a few hours. 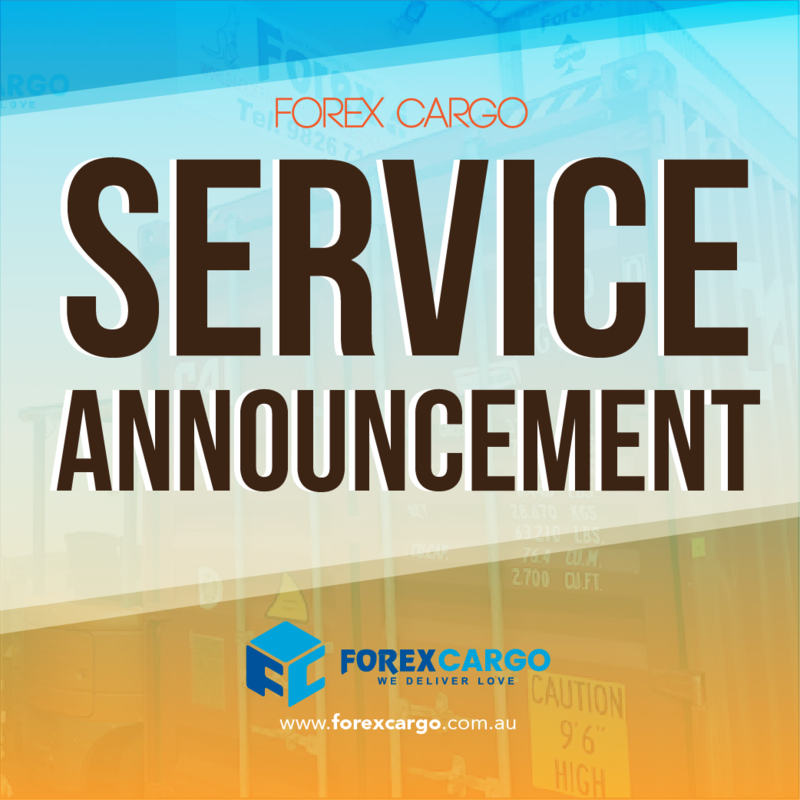 For urgent issues kindly email us at info@forexcargo.com.au. Announcement: All systems are now back up!